Sable Davis is a Forsythe consultant with more than 15 years of experience, including holding many executive leadership roles. She has a proven track record in developing organizational vision, building and transforming organizations, and creating and executing strategies across a wide range of IT functions. She has recently been selected to be an advisory board member of the University of South Florida (USF) Digital Marketing Certificate Program based upon her personal and professional accomplishments. 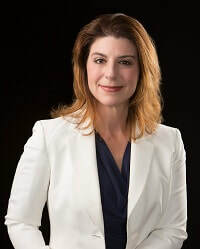 She is also a member of the board of directors for the Tampa Bay Technology Forum. Davis has a strong technical foundation as well as extensive project and program management experience. Davis also has a diverse organizational management background with strengths in negotiation, problem solving and vendor/partner relationships. She worked at Jabil, a global manufacturing services company, for more than a decade, holding many senior-level positions. She has also worked at IBM, eFront, and AT&T. She holds a bachelor of arts degree from USF.